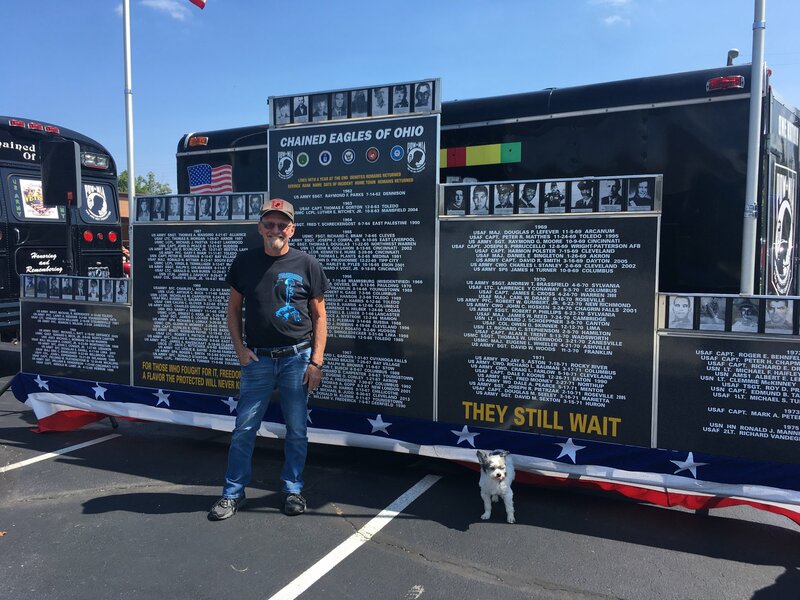 Allen County Veterans Memorial Foundation - :They are not gone until they are forgotten. Donald Carolus was a dear friend of the Allen County Veterans Memorial Foundation. A lively jolly man who you could not help but develop a warm relationship with. He was a veteran of WWII and very proud that he had served his country. He recently passed and will be missed as we cherish his memory and are blessed by the way he touched our lives. We invited his daughter to write about him for publication on our web site. He was born June 20, 1924, the 11th of 12 children of Milo and Bertha Carolus. My dad grew up in a time when luxuries were in short supply and times were much harder than you or I will ever know. His family lived a simple life, but one filled with love and laughter. Growing up in a family with 12 kids was a challenge. With such a large family, money was in short supply, so Donald’s father, Milo, often traded his skills as a logger and woodworker for medical care for his family. The family kept an assortment of animals to help make ends meet, including draft horses that were money makers for my grandfather. Milo worked tirelessly logging out heavily wooded areas in the Lima area, then hauling the big trees by wagons pulled behind the huge draft horses to destinations often several days’ journey away. Dad learned early in life watching his own father how to work hard. At the ripe old age of 8 Dad got his first job… it was with the circus! The circus train would pull into the south end of Lima at the end of Broadway Street where they lived at that time near the Erie RR tracks. Dad was paid just a few pennies an hour to stack up milk bottles for people to throw balls at. The money he made must have seemed like a fortune to a boy of 8! His mother (my Grandmother) Bertha was a gifted seamstress and baker who made clothing and did alterations for many in the Lima area and her baked goods were much in demand. As a boy, Dad delivered her goods around the neighborhood to help supplement the family income. As a teen, Dad would go around the neighborhood and collect soda bottles to redeem for cash so he could afford an occasional movie. It didn’t matter to Dad that the family had little in the way of material possessions…life was oh so much simpler then. Growing up I heard only good stories of family times in the Carolus house. Never did he complain about what they didn’t have. Somewhere during high school a certain girl named Helen who lived only a block away caught his eye. Helen was a quiet, almost shy girl who was very athletic…Dad was a boisterous and decidedly un-athletic boy who won Helen’s heart and they were together always from that time forward. Graduation came in 1942, along with the almost certainty of being drafted into WWII. Helen’s father was dead set against his baby daughter marrying at the age of 18, but Helen’s older brother who was already at war, persuaded their father to allow it. At 18 years of age on November 25, 1942 Dad wed the only girl he ever loved, our mother Helen. 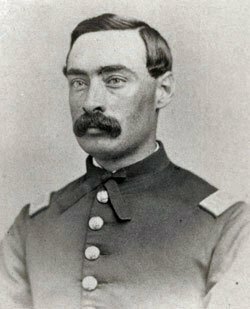 Only a month later Donald enlisted in the Army rather than wait to be drafted. On January 6, 1943 Don’s train pulled out of Lima for Camp Perry on Lake Erie where he and many of his friends and classmates received inoculations, physicals, and gear. From there he was sent to Pomona, California for basic training, living in tar paper shacks which had formerly been used to house Japanese detainees in the area. After 13 weeks of drills and training, he shipped out to Camp Carson, Colorado as part of the 3526 Medium Automotive Maintenance Company. Helen joined him for a time and they moved to San Antonio, Texas. Helen returned to Ohio while Don was sent to Yuma, Arizona on the California border. 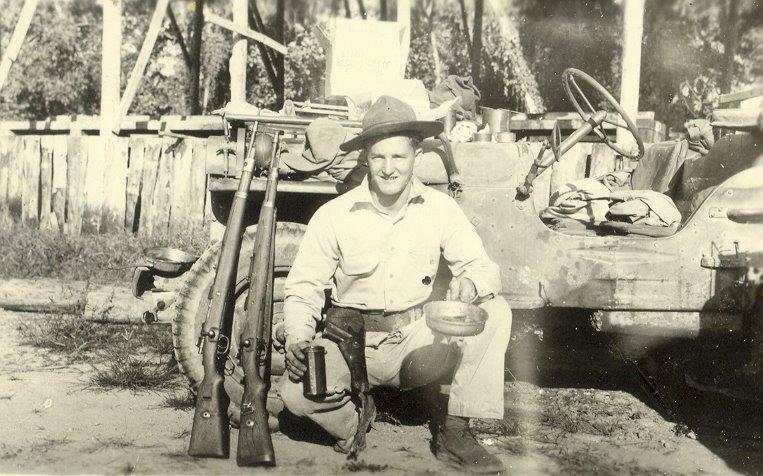 While in Arizona, Don was transferred to the 199th Ordinance Battalion Headquarters division and unhappily was separated from most of his buddies who eventually were sent to Germany. 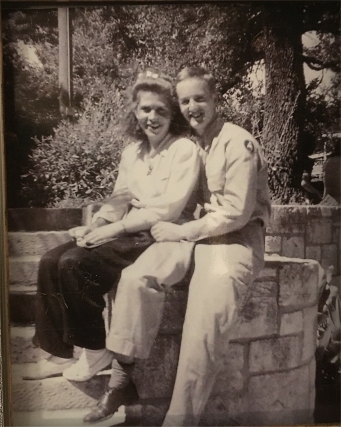 From Yuma in January of 1944 he went to Camp McCain in Duck Hill, Mississippi where Helen joined him again. With the enormous number of soldiers training in that small community, housing was almost impossible to find. In order to stay together and have any semblance of privacy, Don and Helen asked a local farmer outside of Duck Hill if they could live in his empty chicken coop. There was no running water, no electricity and major gaps in the walls of that structure…yet their love and desire to be together was so strong that they endured life in a chicken coop for 3 months. With his stateside duty completed, wartime duty called, and on August 30, 1944 Don shipped out of San Pedro, California to the China-Burma-India Theater of Operations (CBI). Officially established March 3, 1942, the CBI is often referred to as the Forgotten Theater of WWII. Comparatively few Americans were in combat in China, Burma, or India, yet the CBI was important to the overall Allied war effort because of early plans to base air and naval forces in China for an eventual assault on Japan. 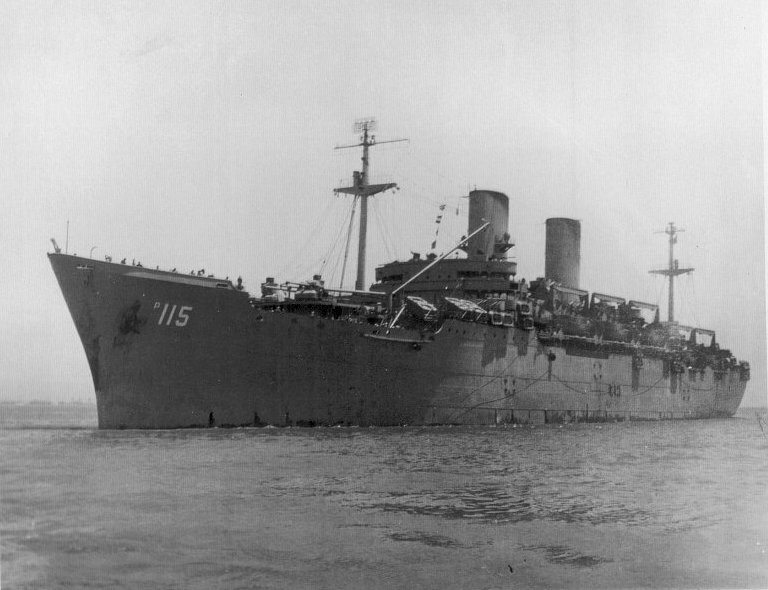 Don’s company landed in Bombay, India after a 43 day journey across the Pacific on the USS General George M. Randall. During their voyage, stops were made in Suva, an island in the Fiji Islands, and in Melbourne, Australia, but the only time spent off the ship while in port was for calisthenics on the dock. Arriving into India, they began their trek across the country traveling from Bombay to Calcutta by rail, then driving by convoy to Asam in the northeastern region of India. Don’s ordinance/supply group was always within 100 yards of the jungle. Supply trains and planes were in and out constantly in support of troops keeping the critical Ledo and Burma Roads open as they aided the Chinese against the Japanese. Don spent much of his time in India in the vicinity of Tinsukia just 16 miles from the Ledo Road. In addition to maintaining vehicles and equipment, one of Don’s jobs was to serve as a courier. He frequently drove several hours between his base and headquarters delivering orders and classified information. His stories of life in northern India became legend in our family. There was the tale of Dad driving some buddies thru the jungle in an Army Jeep one day when they came across some locals clearing a road with the help of several large elephants. As the giant animals worked to pick up the downed trees, a baby stood close by as it’s Mama worked. One of Dad’s fellow soldiers thought it would be fun to snap a picture of the baby, and against the advice of Dad and the others, this fellow wrapped his arms around the tiny calf to pose for the photo. The baby let out a cry and instantly it’s Mama turned and bellowed back. Needless to say, Dad and his friends jumped back into the jeep and got out of there fast! There was the story of one night when Dad and his buddies decided to go hunting for small deer abundant in the area. As they sat in their jeep hoping to spy one, they jumped out of their seats when they spied a large tiger with its eyes glowing nearby necessitating a hasty retreat! Another day as Dad drove along delivering orders to his unit from headquarters on one of the unpaved roads, he came around a bend and suddenly hit a huge boa constrictor slowly crossing the road. The impact nearly threw Dad out of the jeep and caused him to run off the road. Seeing the huge snake writhing in the road, Dad hurriedly got the vehicle back on track and high-tailed it out of there! One of his favorite stories to tell of his service in India was when he had the opportunity to “Fly the Hump”. This meant that he had a chance to take an incredibly dangerous flight over the very treacherous Himalayan mountains into China, a route over which more than 1000 men and 600 US aircraft were lost to the enemy and the elements. Now MOST soldiers who knew anything about flying the Hump tried with all their might to AVOID the journey…but not OUR Dad! When he was given the chance to go along on a flight on his off time, he jumped at it! Eventually victory came in the war, and on March 15, 1946, PFC Donald R. Carolus saw the Golden Gate Bridge in San Francisco! 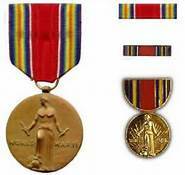 His discharge honors included a Bronze Star for the Asiatic/Pacific Medal, an American Theater ribbon, Good Conduct Medal, and Victory Medal. 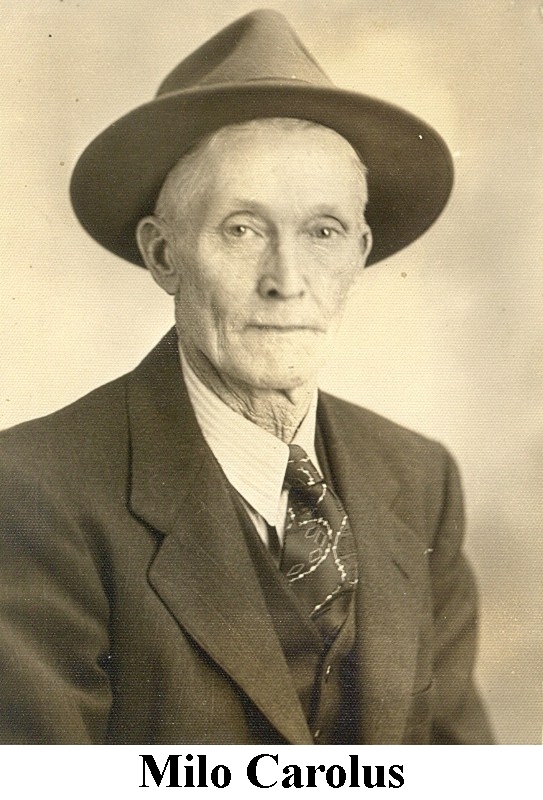 Mustered out on March 22, 1946 in Indianapolis, Indiana, he and Helen were reunited and they started their family. It was fun having Dad as our father when we were little. We didn’t always have a lot of extras, but for some reason we never noticed that. My memories are of laughter and good times. I’m sure there were hard times, too, but we never knew about them. What we did know was that our parents loved each other and that they loved us. The life Dad built with Mom was an honorable one. You would be hard pressed to find anyone who ever had a bad thing to say about either of them. To me, that says it all. Dad and Mom were the best team I’ve ever known, and when I think of one, I think of them both. After Mom’s passing in 2007 Dad bravely carried on, although he missed her terribly. As he grew older he endured physical obstacles that may have slowed him but never defeated him. He beat cancer three times, survived a stroke and two heart attacks, and dealt with arthritis that gnarled his fingers and made him hurt all over. Even with the diagnosis of 2 kinds of cancer again in his 90’s, he refused to give up. He knew there was a better place waiting for him, but he was in no hurry to leave this life and the people that he loved. At age 94 he still played golf every Friday that the weather would allow, right up until October of 2018 when he began to experience problems again related to cancer. After surviving sepsis in October and again in December of 2018, Dad had had enough of hospitals and doctors’ offices. He moved in with my sister Connie on December 19th and went under the care of hospice. For the 3 weeks that he was at my sister’s home he got to say his goodbyes to family and friends and was reassured that he was greatly loved. On January 9th, 2019 Dad slipped into an unresponsive state, and on January 10th, after being surrounded by family all day, at 10:10pm he went to be with his Lord and our Mom. “I am the Alpha and the Omega, the beginning and the end. My perspective is unlimited by time. Because I am Infinite, I am able to see and understand everything at once. I know the ending of your earth life as well as I know it’s beginning…and I know everything in between. You are finite and fallen; your understanding is limited and far from perfect. The end of your life is not to be feared. It’s simply the last step of your journey to heaven. I can see that event as clearly as I see you right now. Because I am the Omega…the End…I am already there. I will be awaiting you when you reach this glorious destination. So whenever you’re feeling the strain of your journey through this world, fix your eyes on The End…and rejoice!”. We Shall forever cherish the memory of John Schmiedebusch, one of the first board members of the Allen County Veterans Memorial Foundation and one of those who inspired me to pursue the Allen County War Memorial. Because of John's early involvement with and continued support both in his efforts and financially to construct the Allen County War Memorial, and relentless efforts to honor and remember all those who lost their lives in service to our country, John will be memorialized at the memorial site. Details about what we will do will be worked out with the family. 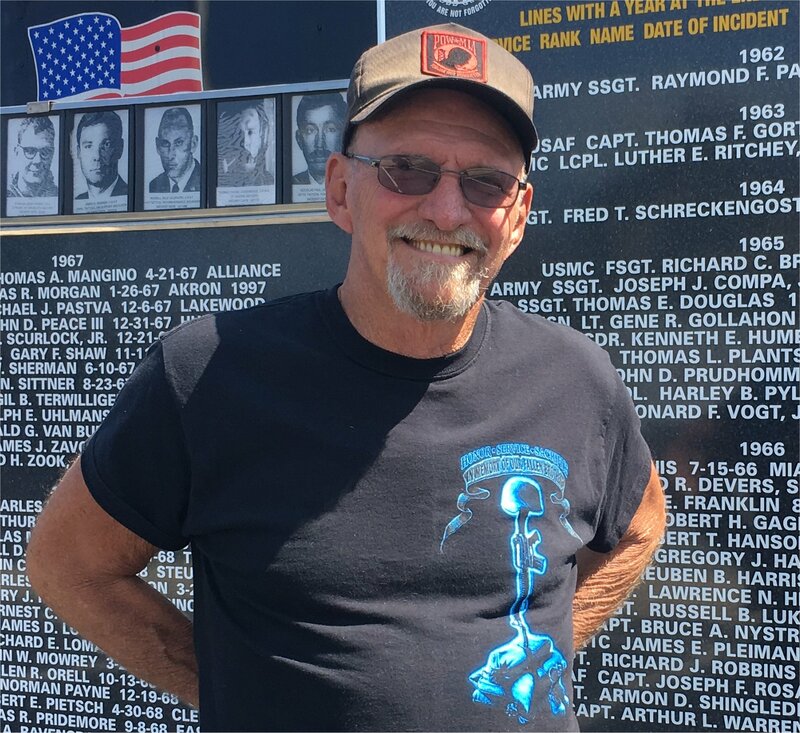 Although the Memorial Site is to memorialize those who lost their lives in service to our country, John was an inspiration to us in our efforts, one of the first 3 board members and an early supporter so it is only fitting that we find a way at the site to memorialize his many years of dedication to be a voice for those who were left behind. ALLEN COUNTY — The Allen County Veterans Memorial Foundation (ACVMF) has revealed the preliminary designs for the planned Allen County War Memorial. Consisting of a series of circular memorials honoring Allen County residents killed in each American war connected by shaded pathways, foundation president Dave Paxton said the goal of its design is to provide a unique experience for each visitor and set a tone of reverence and awe for the sacrifice Allen County residents have made in service to the country. “The biggest thing that we’re concerned about, we want to build a war memorial that people didn’t just drive by,” Paxton said. Instead, the memorial would have the option to evolve for future generations if necessary and stay relevant if the United States entered new conflicts, Paxton said. To follow that vision, some of the initial designs have been reworked and combined to create an extensive memorial where visitors can read the stories and see the faces of Allen County men and women who have died in the armed forces. A two-acre site at the northeast corner of State Route 117 and Bowman Road has been set as the location of the new monument, and as preliminary engineering and design work is finalized, fundraising for its construction can begin in earnest. The ACVMF organized a golf outing Saturday to raise over $10,000 to fund design and engineering work. “I think its a good legacy and preserves the past for future generations and helps young people appreciate and understand that war is a terrible thing and we need to strive for peace whenever possible,” Larry Blunden said. 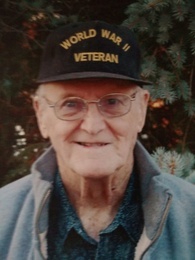 Larry’s brother Jack had been killed in World War II near Luzon in the Philippines when a Japanese kamikaze destroyed the landing ship he stood upon. Jack had been 23-years-old at the time. Barbara Risner was 15 when her eldest brother, John Hale, Jr., was killed in Vietnam while leading his patrol at the age of 19. “He was our hero,” Risner said. “He helped us all, and we’re always thinking about what could have been, how many kids, how many grandkids, how our lives could have been different. As promised, we have placed on our web site a form for public access that you can use to submit information about a veteran who died in service. You can use the form to provide more information about someone in our database or submit a veteran we do not have listed. The form is available at this link.